Mr. Varshney, a Chartered Accountant (Fellow of the ICABC) has focused on the capital markets since 1985 through Varshney Capital Corp., a merchant banking, venture capital and corporate advisory firm in which he is a director and co-founder. He is also currently a director and/or officer of several public companies listed on the TSX Venture Exchange. Aside from his keen business sense, Mr. Varshney’s philanthropic portfolio includes involvement in health, education, and various other respectable causes.Mr. 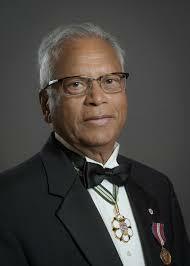 Varshney currently serves as a Founding Member of the St. Paul’s Hospital Foundation Governors Council. He also serves as a member of President Stephen Toope’s Campaign Cabinet for UBC responsible to raise $1.5 Billion towards the development of UBC campuses and alumni activities and is a member of the India Advisory Council of UBC. In addition, Mr. Varshney serves on the Simon Fraser University’s India Advisory Council to support SFU’s strategic initiatives in India and engagement with BC’s Indo-Canadian diaspora. Over the past 20 years, his community support included raising over $1 Million for local children’s charities through the Varshney Capital Corp. Charity Golf Classic.He has served as the past Chair and Board member of St. Paul’s Hospital Foundation and a past director of the Providence Health Care, College of Denturists of BC, Western Institute for the Deaf, India Club, Vishva Hindu Parishad of BC and several other charitable organizations. Mr. Varshney is a member of the University of British Columbia’s President’s Circle for major donors.He has also donated $1 Million to the Sauder School of Business at UBC to establish the Hari B. Varshney Business Career Centre.Mr. and Mrs. Varshney each have established MBA Entrance Scholarships as well as Bachelor of Commerce Scholarships to provide students with increased access to management education at UBC. Mr. Varshney is a recipient of the 2005 Volunteer Recognition Awards presented by Volunteer Vancouver for his valuable contribution to the community, 2006 British Columbia Community Achievement Award in recognition of his outstanding community service and a 2009 inaugural Top 25 Canadian Immigrant Award.